An eating disorder intervention is necessary for those who have an issue with eating. This can either be anorexia, bulimia, or an EDNOS (Eating Disorder Not Otherwise Unspecified). For any eating disorder, it’s vital that they get the help that they need. If a person refrains from getting the help they need for an eating disorder, they’ll only worsen to the point they require hospitalization. Each type of disorder can be brought on by different stimuli and will need different treatment regimens to help the person successfully get through their disorder. Since there is a broad range of triggers that can affect someone with an eating disorder, the most common form of treatment seems to be working alongside a specialist to help counsel the individual. How Does An Eating Disorder Occur? Many people with eating disorders have deep emotional or psychological issues that stimulate their eating disorder. As far as psychological factors that can affect one’s eating disorder, there are many different things that can increase a person’s likelihood of obtaining a disorder. To begin with, low self-esteem, depression, anxiety, hopelessness, history of sexual or physical abuse, society pressures, and even medically-related issues. Because some medications have stimulative effects, this can also cause people to gain an eating disorder. When an individual needs help with an eating disorder, it’s not generally recommended that a family stages an eating disorder intervention that is typical of someone abusing drug substances, for example. People who have an issue with eating should undergo the help of professional rehabilitation specialists. We here at Intervention Services are able to connect with the right rehabilitation facility for your loved one’s needs. In conjunction with the rehab experts and the support of family members, it’s possible to overcome an eating disorder. 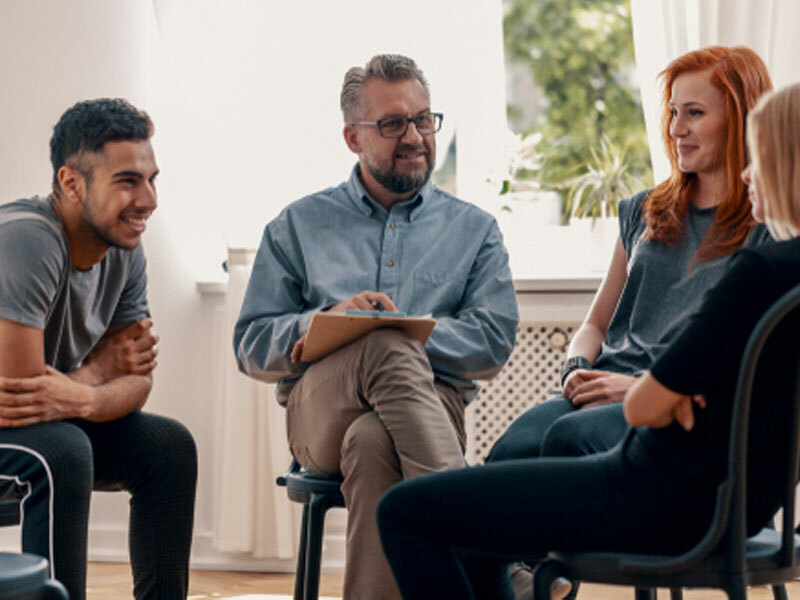 When approaching a person who has an eating disorder, an ideal course in recovery might involve meeting with a therapist who can talk with the person to analyze the underlying factors that are causing the eating disorder to begin with. Once this has been determined, rehabilitation intervention experts are able to carry out a treatment program. The treatment program is specific and unique to each person, although each treatment tends to involve counseling, examination of medications, and a unique tailored diet on top of individualized activities to help the individual overcome their eating disorder. Intervention Services can help your loved one get started on the road towards recovery. Give us a call at (877) 478-4621 or learn more about what makes us the best choice on our About page.